We often assume so, but if we do treat the past as inferior we will ignore the legacy of history, and thus will find ourselves stranded on the tiny desert island of our own moment in time. In particular, this applies to Christian theology, which should be thought, and lived, corporately by the church down through the ages. The remedy to 'chronological snobbery' is, as C. S. Lewis put it, 'to keep the clean sea breeze of the centuries blowing through our minds'. Such is the motivation behind Michael Reeves' introduction to a selection of influential or significant Christian theologians. Furthermore, by 'sitting on the shoulders of giants ... our glance can take in more things and reach farther than theirs' (Bernard of Chartres). This accessible and informative companion volume to The Breeze of the Centuries covers Martin Luther, John Calvin, John Owen, Jonathan Edwards, Friedrich Schleiermacher and Karl Barth. Each chapter begins with a brief biography and some background, then surveys each theologian's major work or works, gives a timeline for historical context, and ends with guidance for further reading. On Giants' Shoulders by Michael Reeves was published by Inter-Varsity Press in January 2011 and is our 36926th best seller. The ISBN for On Giants' Shoulders is 9781844744954. Having enjoyed Michael Reeves’ earlier work The Breeze of the Centuries I have been looking forward to this sequel. Previously Reeves considered the theologians of the Early Church, now, in On Giants’ Shoulders, he introduces the reader to the authors of some of the most significant reformation and post reformation theological works. Spanning the period from Luther to Barth Reeves provides an enticing introduction to such momentous works of Theology as: John Calvin’s The Institutes of Christian Religion, Fredric Shleiermacher’s The Christian Faith and Karl Barth’s Church Dogmatics. As with The Breeze of the Centuries, On Giants’ Shoulders begins with a thumbnail sketch of the theologian placing each in their historical context. Reeves then supplies a brief introduction to the scope of their work and considers at least one of the publications that they are famous for. In his conclusion Reeves suggests an accessible route into the writings of these theological giants before gracefully leaving the reader to explore further. Once again Reeves’ points out that this book is not meant to be a book of ‘great Christians’ and has thus deliberately left out the likes of John Bunyan and John Wesley. On Giants’ Shoulders is designed to be an accessible introduction to some of the greatest theological works produced within the last five hundred years. It is also designed to encourage its readers to go beyond this simple introduction and tackle the works of theology it describes. As such Reeves has done a superb job and I commend On Giant’s Shoulders as a worthy successor, and complementary volume to The Breeze of the Centuries. Having enjoyed Michael Reeves� earlier work The Breeze of the Centuries I have been looking forward to this sequel. Previously Reeves considered the theologians of the Early Church, now, in On Giants� Shoulders, he introduces the reader to the authors of some of the most significant reformation and post reformation theological works. Spanning the period from Luther to Barth Reeves provides an enticing introduction to such momentous works of Theology as: John Calvin�s The Institutes of Christian Religion, Fredric Shleiermacher�s The Christian Faith and Karl Barth�s Church Dogmatics. As with The Breeze of the Centuries, On Giants� Shoulders begins with a thumbnail sketch of the theologian placing each in their historical context. Reeves then supplies a brief introduction to the scope of their work and considers at least one of the publications that they are famous for. In his conclusion Reeves suggests an accessible route into the writings of these theological giants before gracefully leaving the reader to explore further. Once again Reeves� points out that this book is not meant to be a book of �great Christians� and has thus deliberately left out the likes of John Bunyan and John Wesley. 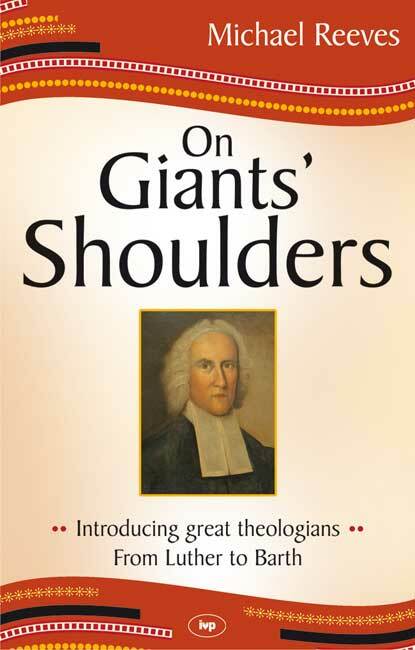 On Giants� Shoulders is designed to be an accessible introduction to some of the greatest theological works produced within the last five hundred years. It is also designed to encourage its readers to go beyond this simple introduction and tackle the works of theology it describes. As such Reeves has done a superb job and I commend On Giant�s Shoulders as a worthy successor, and complementary volume to The Breeze of the Centuries. Got a question? No problem! Just click here to ask us about On Giants' Shoulders.